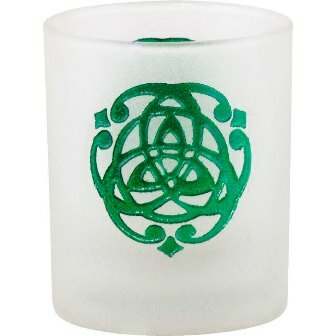 Frosted glass votive holder whose tribal lizard design is deeply etched and painted on both sides. It will hold a votive or tea light candle. The Triquetra symbolizes The Holy Trinity; The Father, The Son, and The Holy Spirit.